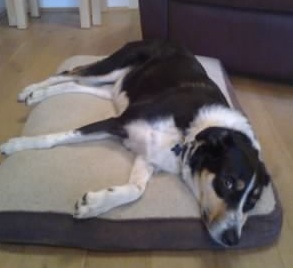 Has your dog had an operation? Does your dog have sore hips or elbows or back? 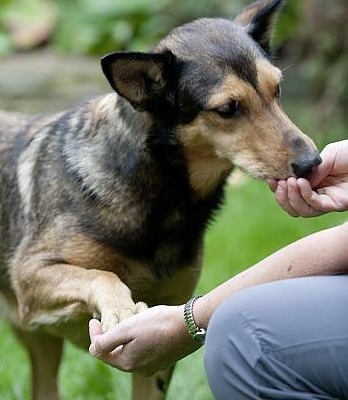 Is your dog getting on in years or have arthritis? Is your dog a sporting or working dog? Has your dog gone off his legs? Look no further – Physiotherapy will help. 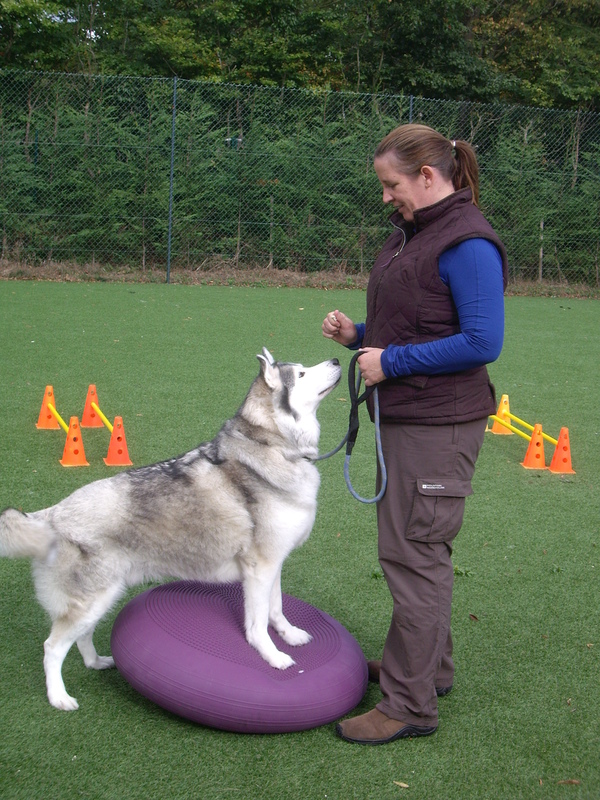 I care about your dog’s movement and function and will come to your dog’s home to assess and treat. Physio speeds up and improves the quality of the healing process, reduces pain and strengthens your dog back to 4-legged form . 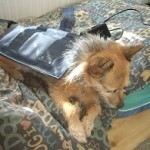 Most pet insurers pay towards physiotherapy. After an operation to leg or back, dogs benefit from physiotherapy rehabilitation. 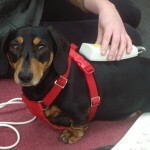 Physiotherapy will help with pain and healing and help your dog back to four-legged form with quality and comfort. Some conditions can be treated successfully by physio instead of an operation – talk to us about hip and elbow dysplasia, cruciate ligament issues and IVDD before going for the operation. If your dog his having issues with his wrists (carpal joint) or ankle (tarsal joint) then custom made supports from us at TheraPaw UK can help too. Other conditio ns are also treated including arthritis, muscle tears and neurological issues. Performance MOT’s provided for agility, other sporting and working dogs. This helps to prevent injury. 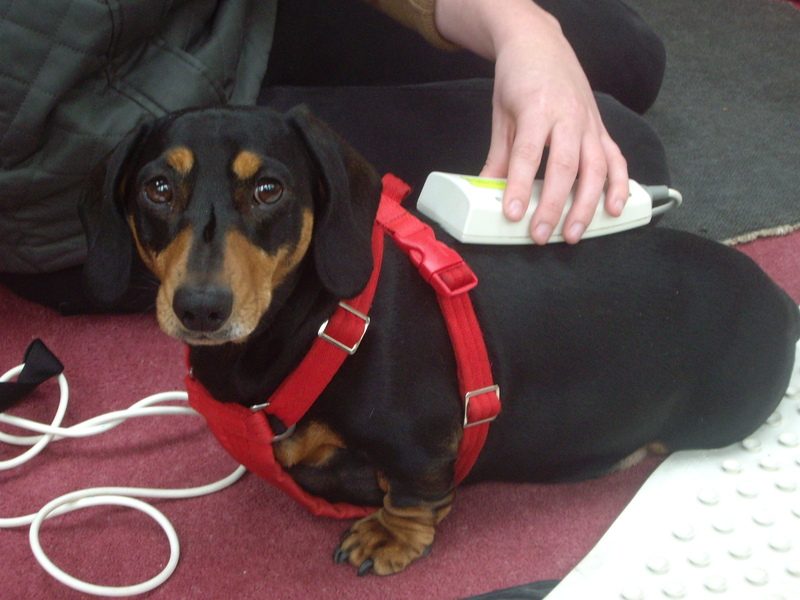 For Daxi’s – spinal MOT’s can help reduce risk of IVDD. The assessment includes talking to you about how your dog manages each day, reading the vet report, observing your dog moving, muscle symmetry, core and limb stability, palpation for muscle tension and tenderness, and range of movement of neck, back and leg joints. 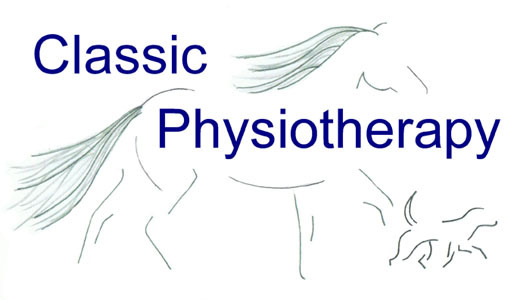 Clinical knowledge and judgement of any identified issues allows the Physio to select suitable treatments from the physio tool box of soft tissue mobilisation, laser & magnetic therapy, stretches and both proprioceptive and strengthening exercises. A rehabilitation plan is devised uniquely for your dog and may include a home program. As Chartered physiotherapists we work closely with your vet, dog trainer and other practitioners working with your dog to ensure holistic treatment. 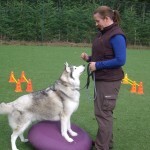 Apart from hands on treatment, it may be appropriate for your dog to have a home exercise program with you to improve core stability, proprioception and strength. Phone 01865 240122 to discuss your dog’s needs. Most Pet insurance companies will pay for physiotherapy. Please note that a number of physio appointments are often needed to fully rehabilitate. This may be over many weeks or months. 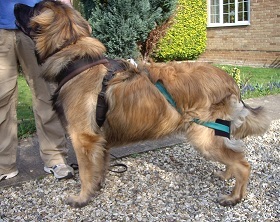 Note that it is a legal requirement to have your vets approval before a physiotherapist can assess and treat your dog. Please ask your vet to either complete the online vet referral via the ‘Info for Vets’ tab or to download and complete the form below and email or fax it to us. 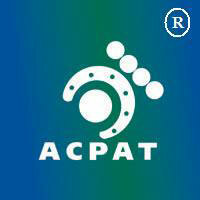 I am a qualified Chartered Physiotherapist and Veterinary Physiotherapist, a member of ACPAT, RAMP and the CSP. I am trained to make custom carpal and tarsal supports for pets. Proprioception is a combination of balance, joint position sense, and body awareness. Part of this is derived from sensory apparatus within the muscles, tendons, ligaments and joints. When any of these areas are damaged, in pain or recovering from injury/surgery, the sensory apparatus are damaged and need proprioceptive stimulation to recover and do their job again. Physiotherapy treatment works to gain proprioception. Good proprioception leads to correct use of limb and body. 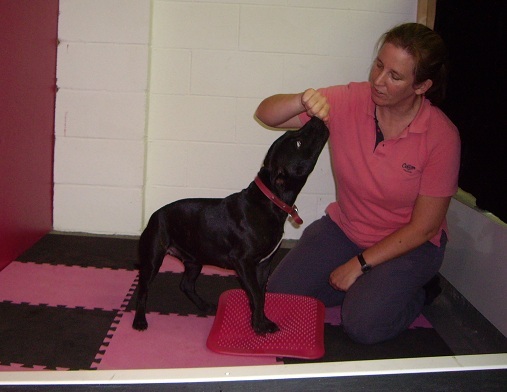 Nycky is a qualified Chartered Physiotherapist and Veterinary Physiotherapist, a member of the CSP and ACPAT and RAMP.